Get ready to storm the castle (or the Halloween party!) 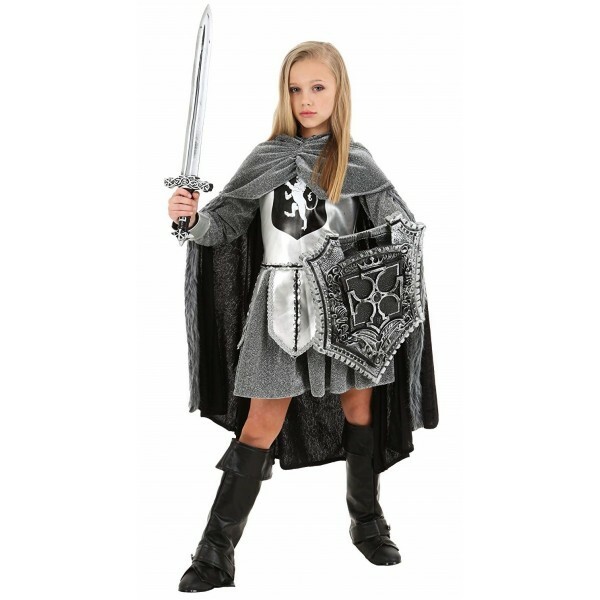 with this warrior knight costume from Fun Costumes that looks like real chainmail! 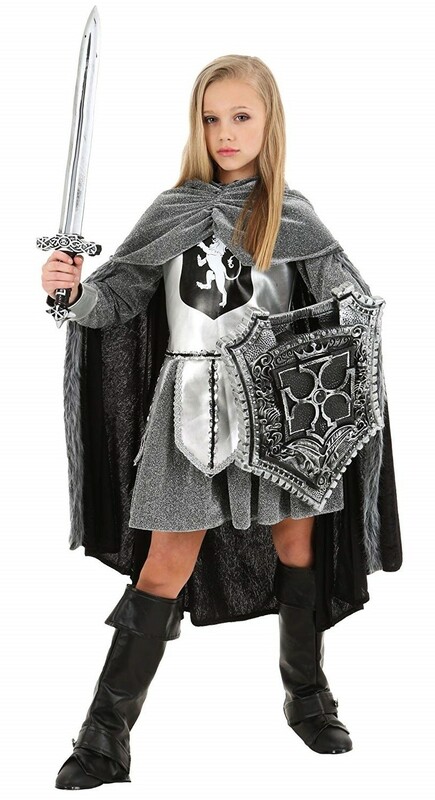 This costume set comes with a dress and cape made from fabric that looks like metal but is still comfortable to wear. Also included in the set are boot covers and a headband. Please note: sword and shield not included. For more fun and empowering dress-up options for all ages, visit our Costumes / Dress-Up Collection.